We all know to take care of our tools at our jobs. Clean your tools, use the right tool for the job, sweep the floor, clean up spills, put things back where they go. Just like the rest of the tools you use for work, your footwear needs some attention and care every so often as well. Leather, like your own skin, has natural oils that make it soft and help keep the leather water resistant and smooth. We break down and lose the oils in the leather as we wear shoes and expose them to some of the harsh environments we work on. Think about the things you work in every day; how would your own skin fair in that environment? Leather, again like your own skin, needs to be cleaned and moisturized (or oiled) regularly. What does that mean? Well, take a look below for some basic shoe care tips. 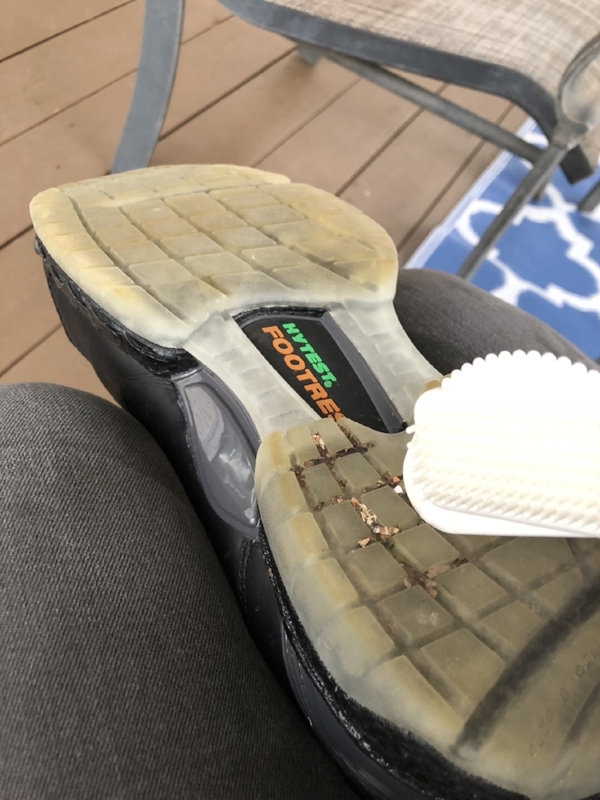 Not only does this make sure that you aren’t making a mess of yourself cleaning your shoes, but things like mud and dust come off significantly easier when dry. Ideally, you should let shoes dry at least 24 hours before cleaning. If you can’t, removing the bulk of the mess with a rag is better than nothing. Oh, and try not to use one of those forced air, heated boot driers, they just dry out the leather more and make it more work for you later. I like to clean my bots outside, makes cleanup afterwords a lot easier. If you don’t need to oil, you just need a rag and a boot brush. If you need to oil, you will need additional rags and your oil as well. 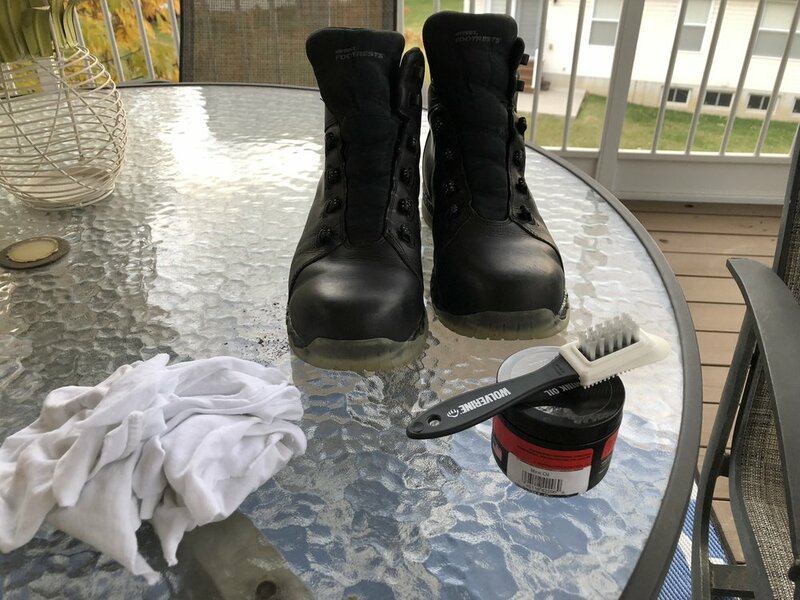 I like to oil my boots about once a month with the kind of things I work in. I personally like to remove my laces for a good cleaning, it makes it easier to get at everything. Now is also a good time to inspect laces and your shoes themselves for any damage or issues before they get too bad. 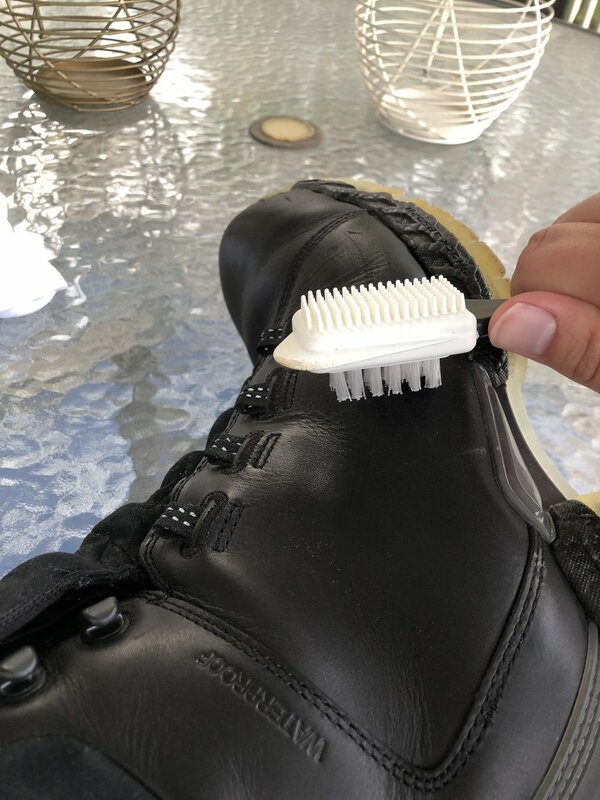 Some boot brushes, like mine from Wolverine, have rubber parts that assist with getting dirt and grime out of the lugs of your outsoles. Once all that is cleaned out, you have a clean base to work from. Since you let all the dirt dry on your boots, it should come off relatively easily with a good brushing. Start from the top and work your way down the boot with swift, firm strokes using your boots brush. After you brush, give your boots a quick wipe down with a dry cloth. I personally like to use cut up white cotton t-shirts for this. Whenever one gets a hole, i cut it up and it goes in the box with the cleaning supplies, I just throw them away when they get too dirty. As far as oils go, there are many options and many opinions as to what is the best. 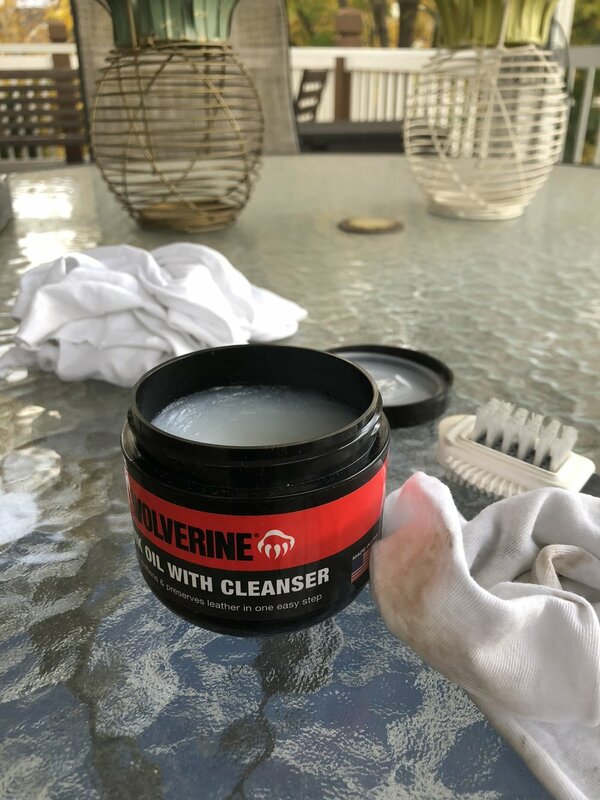 I prefer neatsfoot or Mink oil, what I am using here is a Mink oil with cleanser, again from Wolverine. Use a clean rag to work a good amount of oil into it, and begin working it into the leather, don’t worry if it seems a little thick, we are going to be taking care of that shortly. Begin working the oil into sections. 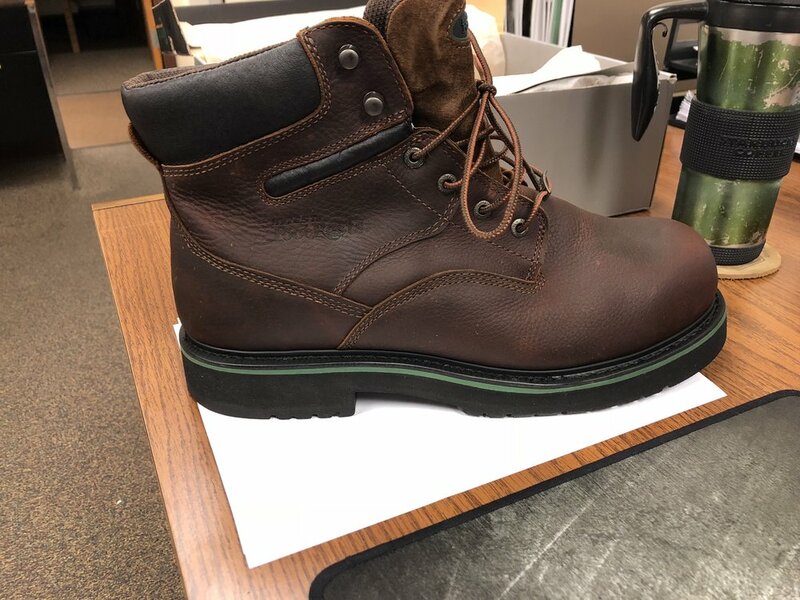 If you have a boot that was tanned with a color, especially dark colors or black, you may notice a little color coming off, that is nothing to worry about as long as it isn’t damaging the leather. You may want to test in a small area before you start with a new oil though. 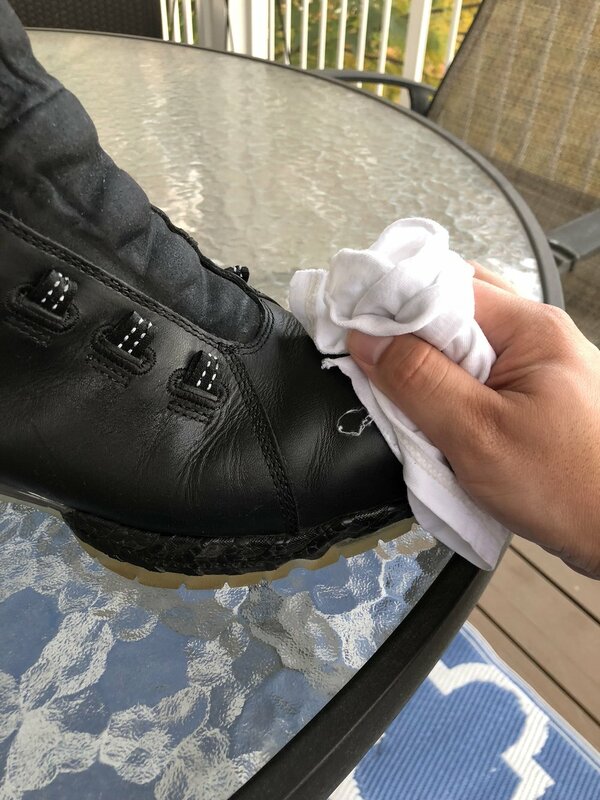 Once you have oiled both boots, go back to the first and, with a new clean cloth, start to buff out the oil to remove and excess from the leather. You should be left with a leather that has a good hand to it, similar to when you bought it, if not with a little more oil. Some dirt and color may come off in this stage too, that’s not a bad thing. 7) Put your laces in and clean up! You did it! Your boots are clean and well oiled, lace them back up in your preferred style and you are good to go. On a side note, it is best if you can let these sit overnight to really let the oil soak in. I personally like to do steps 1-4 about once a week as time permits, and the whole process about once every couple of months (your timing may vary depending on leather type and work environment). You may find that less or more often is better for you and your job. If you start to see leather cracking or feeling very dry to the touch, it’s time to get some moisture back into the leather. It’s better if you make sure you don’t get to that point. Follow these steps and you can add some good life back into tired boots. Stay Safe out there everyone! It's a question we get asked all the time: Why is Shoemobile Service better than reimbursing employees or putting money in their check to buy shoes? While there is no one size fits all solution for your safety program, there are several answers to that question. More than just sales. Solutions. The first answer to "Why Shoemobile Service?" is simple, Shoemobile Service is a total solution. We here at Sid Boedeker Safety Shoes will help guide you through every step of the process, from inspecting your workplace to identify your needs, helping establish requirments for your program, on-site sales, dedicated account reps, centrally located billing services, and the brands your employees know and trust. We make it easy for you to have a safety shoe program without requiring you or your staff to get involved in the shoe business. The second answer is compliance. It is always easier for your staff to ensure that everyone is wearing the proper footwear for their job if you have a single source that ONLY provides footwear that is approved for your location. There is not second guessing with your program as we ensure that all the footwear sold meets your requirements. Finally, a Shoemobile Service Program helps your employees too. Your employees have a single source to provide them with the footwear they need, helping to remove the burden of unnecessary approval processes, buying and returning shoes, and needing to spend their off time to go and purchase shoes. They also get a little noticed benefit: employees do not pay income taxes on Shoemobile Purchased shoes. When an employee gets money put into their check for footwear, not only is the employer paying FICA on that money, but the employee is paying all relevant income taxes on it as well, reducing the benefit they get from that program. 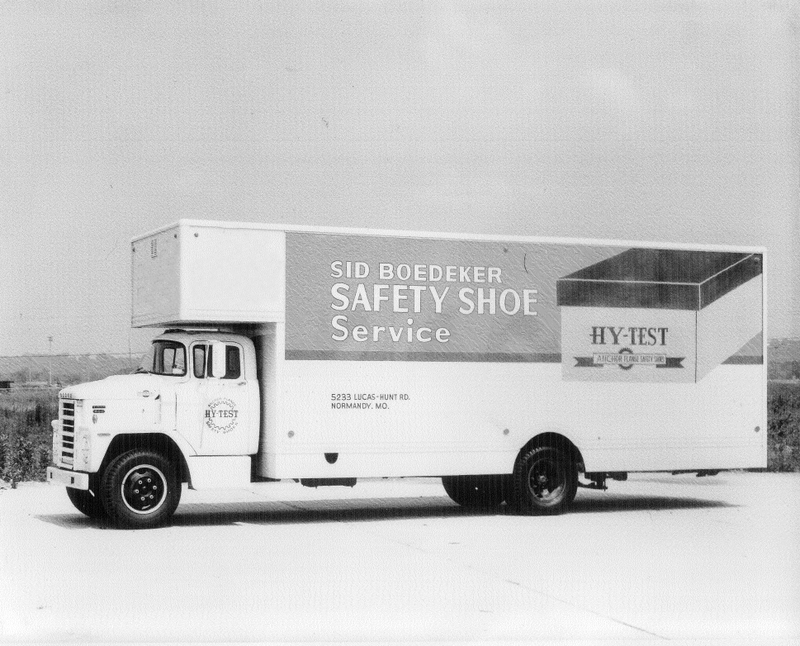 We at Sid Boedeker Safety Shoe Service, and the rest of the Hytest Safety Footwear Network, truly believe that Shoemobile Service is the ultimate solution for your footwear program needs! Give us a call today to see what we can do for you! There is a secret to creating ultra-comfortable safety footwear. For years, that secret has been Polyurethane(PU). 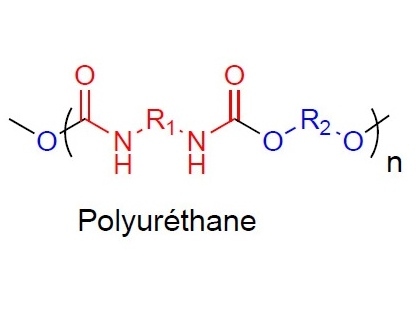 Polyurethane is an organic compound that is created by combining an isocyanate with a polyol (an organic compound containing multiple Hydroxyl groups). This creates a compound that provides the stability of a hard rubber, but with much much more cushioning. But Polyurethane has a weakness, hydrolysis. Hydrolysis is the chemical breakdown of polyurethane on the molecular level, caused by an incursion of water molecules (to put it simply, this process gets complex quick). 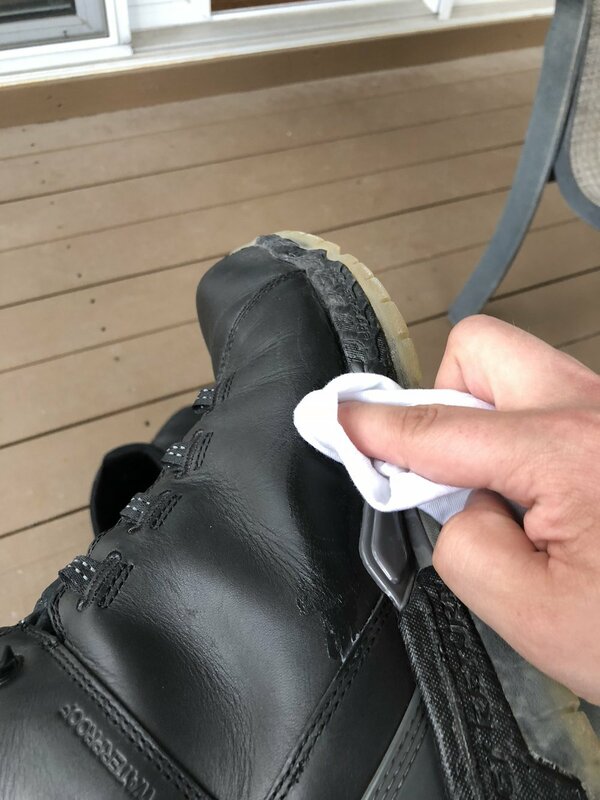 The good news is that this process does not generally happen very quickly, it won’t happen because your boots get wet while you are working. This process happens very slowly over time, we’re talking years. The bad news, it’s inevitable. If your footwear has PU in the sole, it will eventually break down, splitting and crumbling. For most people, this actually won’t make a huge difference in their footwear, running shoes and work boots tend to see their useful lifespan well before this can occur. So why is this a problem with workboots especially? 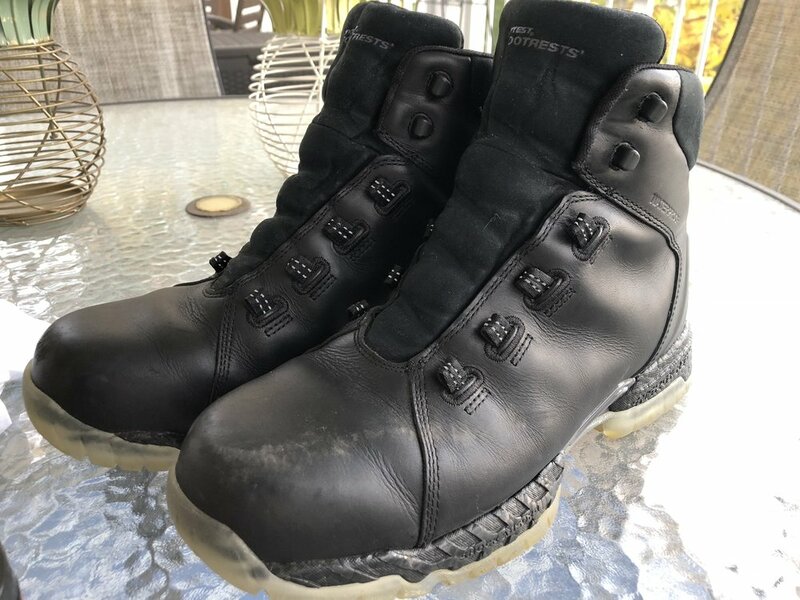 The answer is that people often get workboots every year and don't change them out apporpriately, or they wear them seldomly. A good example of this is an office worker who only occasionally needs to wear their shoes to enter a plant or job site. This person may only need to purchase footwear every few years. 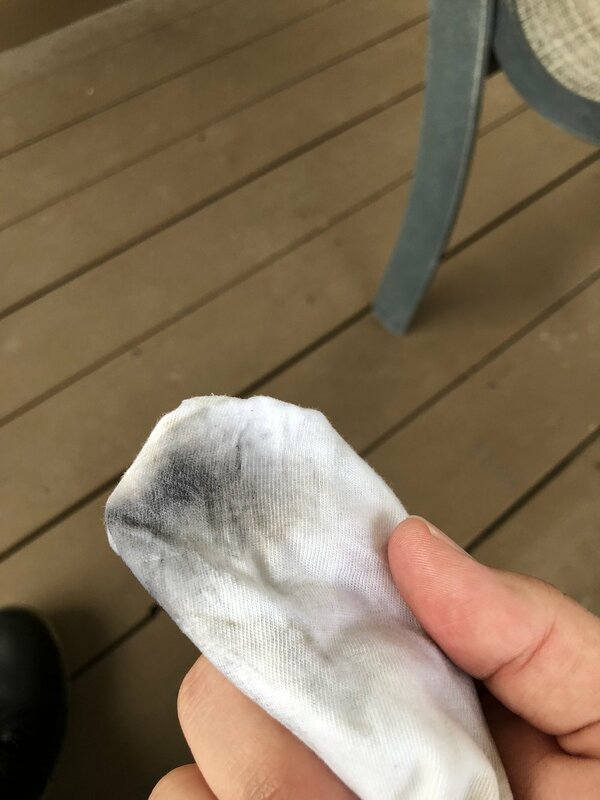 Because hydrolysis occurs from just the water vapor in the air, footwear that is sitting under a desk or in a closet for many years will slowly start to degrade. Hydrolysis has taken hold of this shoe after 13 years in storage. So, what’s the solution? Well, the best answer we have been able to find is simply to wear your footwear. Hydrolysis tends to set in faster on footwear that is stored in a dark enclosed space where water vapor has trouble escaping. Generally, when we see footwear that has succumbed to this, it is a pair that sat in storage for several years and started to crumble as soon as the owner tried to wear them. If you have some shoes in storage, check them out, and get those boot into your rotation, it’s better for you and your boots to not wear the same pair everyday anyway! 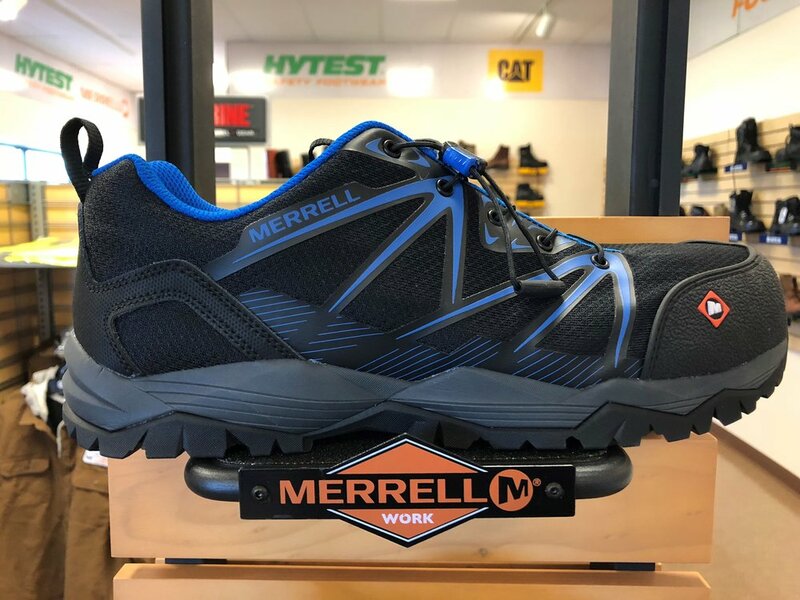 These athletic shoes are from the new Merrell Work line, Merrell has used the highest quality materials in their work line and it shows! Like all shoes in this line, these feature a composite toe, EH rating, and a free footbed from Merrell with an online registration. These shoes also feature a unique lacing system that makes donning and doffing easier and faster, they also ship with an extra set of traditional laces. These shoes are now available to purchase athttps://shop.sidboedeker.com/all-brands/merrell.html! Depending on who you believe, somewhere between 50-80% of all people are wearing the wrong size shoe. While there are many reasons for this, us retailers are partially at fault for this epidemic. The retail game has changed, so many places no longer fit their customers for shoes; either boxes with many sizes are left out or associates will just grab whatever size a customer asks for. All too often, customers are left attempting to understand how to measure their foot properly, generally without a proper measuring device. We aim to address this problem in our stores and Shoemobiles. We always strive to measure every customer that comes into our stores, mobile or otherwise, this makes sure that we know what we are working with when we recommend shoes, and the customer is confident that we are striving to take care of them. In short, make sure your feet are measured. 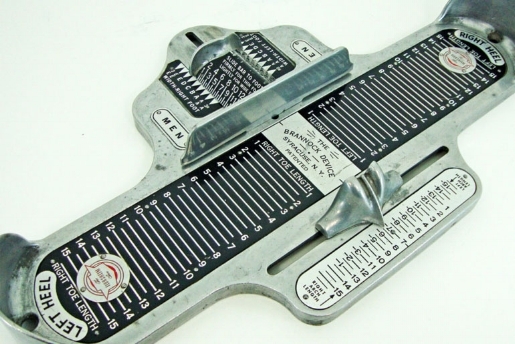 Most shoe stores will have something called a Brannock Device; you've probably seen these, a (usually) metal plank with lines designating a size. Many of these will also have a slider to measure your arch and a slider to measure the width of your foot. Make sure you use these if available. Many times (especially in safety footwear! ), your arch measurement means more than your toe. This is because your arch measurement determines where the shoe flexes at the outsole and on your toes. If your arch is too short, a steel toe cap or tight laces could cause you pain in your foot, if it is too long, it will cause your foot to slide around, which can damage the shoes and cause blisters. If you don't have access to a Brannock device, there are some tips you can use to check fit. First, you should have room to move your toes freely; if you can't wiggle them, your shoes are too tight! Next, your laces should run parallel to one another in roughly straight lines, if they are touching, the shoe is too big, if they are spreading, they are too small. Third, there may be some heel slip in a new shoe, this can be because the soles are stiff when new. About a quarter inch of slip is generally acceptable, any more will cause premature wear of the lining of the shoes. Leather will stretch but do not rely on it, lower quality leathers or action leather will not stretch or may become weak when stretched. One final point of conversation; Per OSHA, all PPE must be properly fitted, donned and doffed. This means that a trained person must make sure that your footwear fits correctly, just like a respirator or fall arrestors. This includes properly putting the shoes on (lace them up!) and taking them off (untie and don't kick them off!) Our trained personnel make sure that your footwear is fitting the way that it should to protect you and be comfortable. Probably the most common question we get asked in our line of work is "What kind of safety toe is best?". I don't think that that is surprising in the least, most people who have never worn safety footwear only have a vague idea of what the differences between the options are. To answer that question, we first have to look at the types of safety toes most widely available on the market today, which are; steel, alloy, composite, and carbon composite. The first thing to recognize is that all of these types of toes must meet the exact same ASTM safety standards; ASTM F2413-11 I/75 C/75. This means that no matter what type of toe you have, it will be rated for a 75 ft/lb impact and up to 2,500lbs of compressive force. So knowing all that, what advantages or disadvantages do each have? 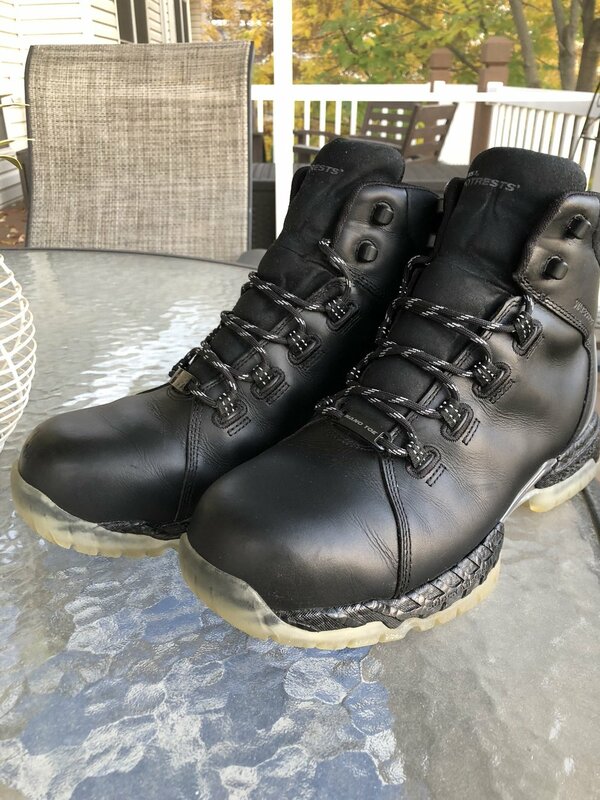 Steel toes are the most common type of toe cap on the market today. Steel is the most cost effective safety toe available, meaning that there is little increase in the cost of a shoe using a steel toe. 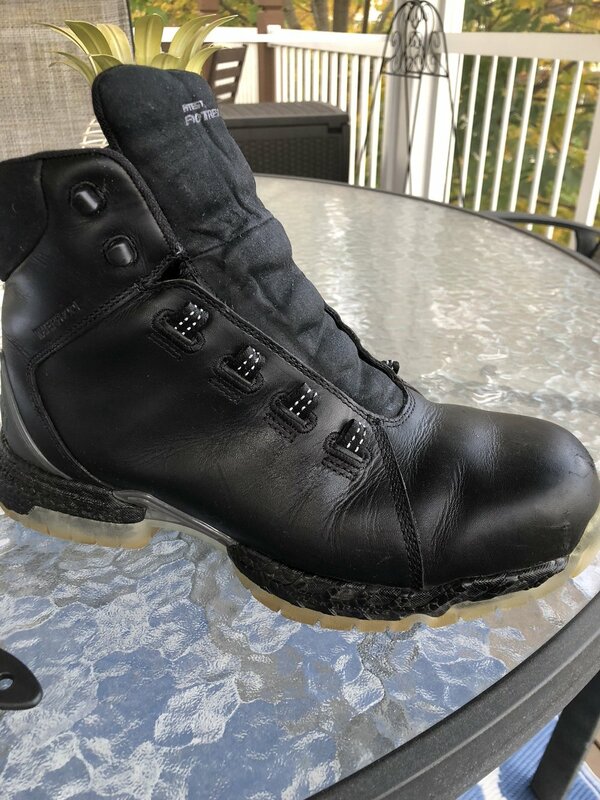 Steel toe caps also offer a lower profile allowing for better clearance and appearance over a traditional composite toe cap, making them ideal for athletic and dress style safety footwear. On the other hand, steel toe caps are marginally (~1.5 oz) heavier than a traditional composite toe. Steel toe caps also transmit heat and cold at a much faster rate than composite toe caps. Alloy Toe caps are in much the same boat as steel ones. They are a thin profile, ideal for use in athletic and dress style shoes. Alloy toes are also somewhat lighter than a steel toe. They have the same thermal downside as steel, in addition to costing slightly more than a steel toe. Composite toe caps are the second most common type fo toe cap on the market. There is a long living myth about the significant weight difference between composite and steel toes; while composite toes are lighter, the overall makeup of shoes make that difference negligible for most footwear. Composite toes have to be roughly twice as thick as a steel toe to meet the same rating, making them difficult to use in athletic or dress shoes without looking somewhat bulbous. Where composite toes really shine are in cold environments. Composite transfers heat at a much slower rate than steel or alloy, making them ideal in boots for outdoor use or insulated boots. Composite toes also have the advantage of being able to go through a metal detector so long as the rest of the construction of the footwear is non-metallic. Carbon Composite toe caps are the newest style in the mainstream market. 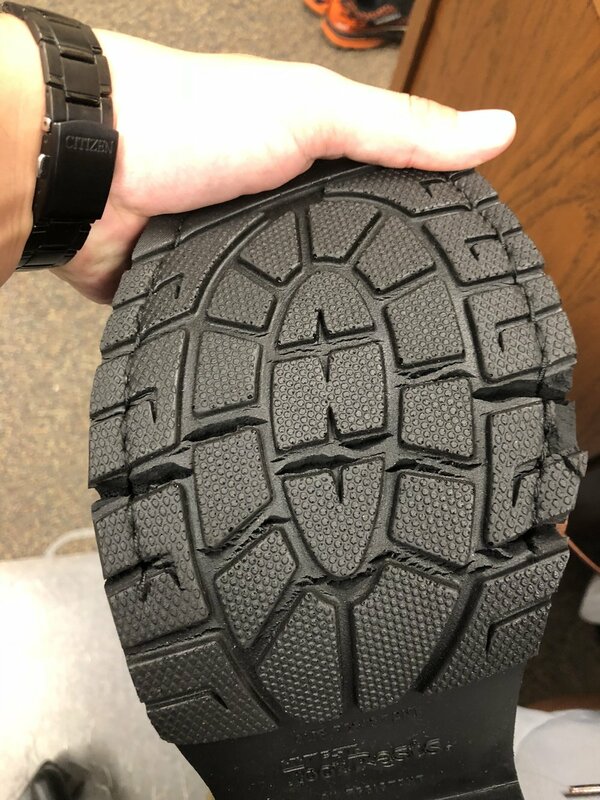 Often advertised under proprietary names such as Wolverine's CarbonMax or Hytest's Hy-Light Nanotech, these are the most technologically advanced of the toe caps. Offering all of the benefits of a composite toe cap, while retaining the slim profile available from a steel or alloy toe cap. Keep in mind that while these are very light, the overall construction of the shoe is the final determining factor of the weight of footwear. The short answer? What feels good to you. The long answer? What you wear should be determined by the job you are doing and the overall features of the shoe. If you are looking for the lightest shoe available, keep in mind that the lightest shoe in the style you are looking for may NOT be a composite toe boot after all. The most important thing to remember is that you have to wear these for eight, ten, or twelve hours straight, and at the end of the day, comfort and safety are more important than what your toe caps are made out of.